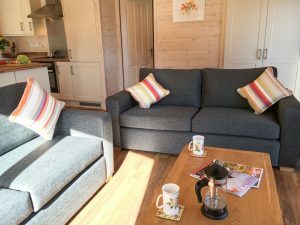 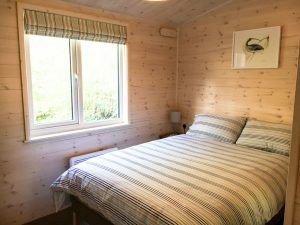 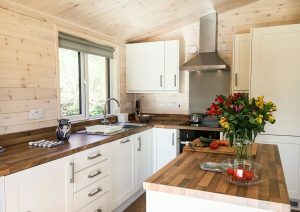 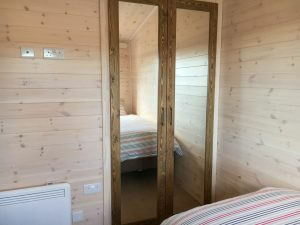 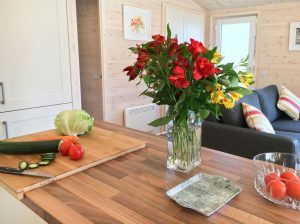 Oak Lodge, our spectacular new lodge is available and already booking well. 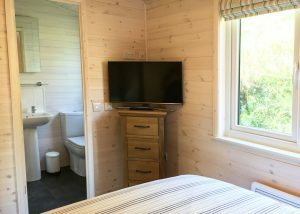 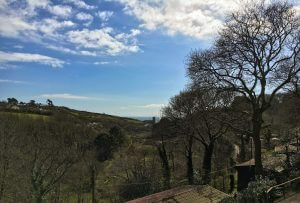 In a fabulous setting between High Road and Middle Road, giving spectacular views of the sea all year round, Oak Lodge is light, spacious and contemporary with an open plan living area. 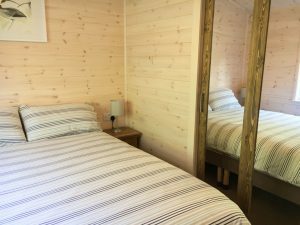 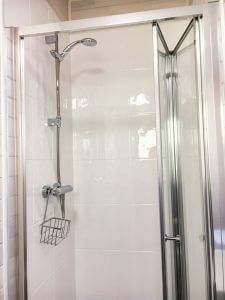 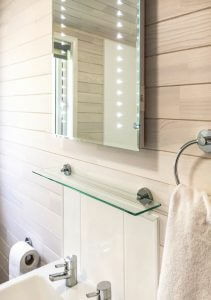 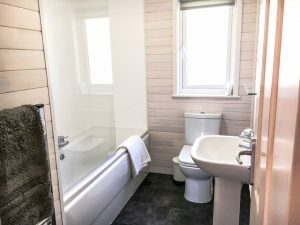 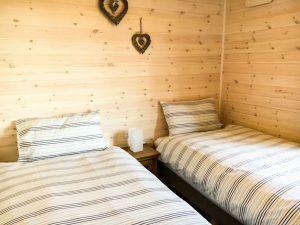 It sleeps six in three bedrooms, the master double has an ensuite shower room, plus two twin rooms and a separate family bathroom. 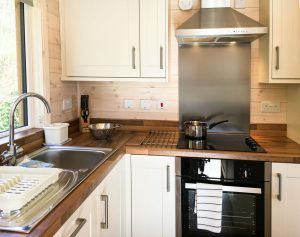 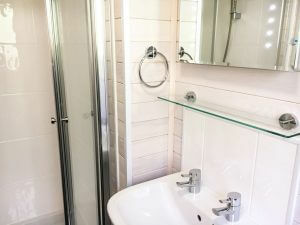 The fully equipped kitchen includes a dishwasher and washing machine. 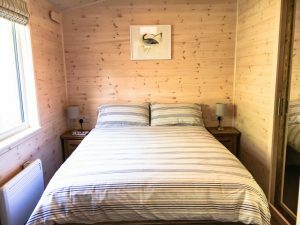 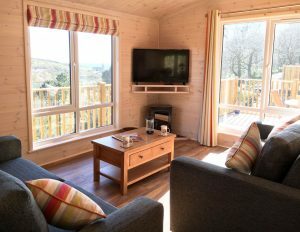 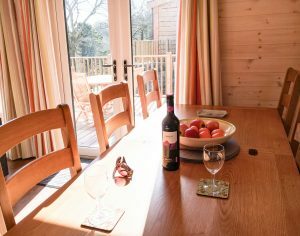 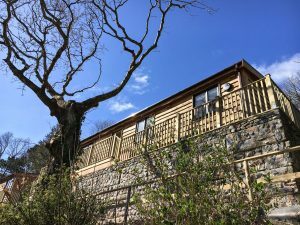 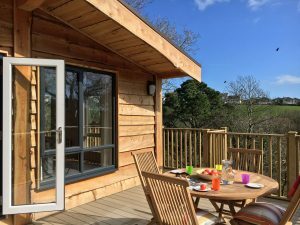 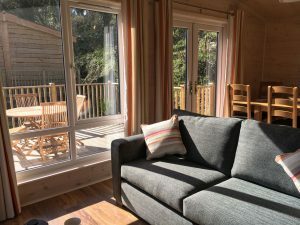 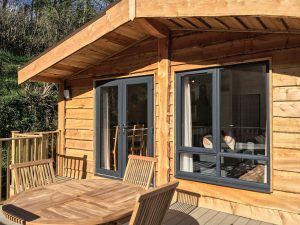 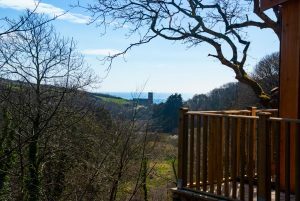 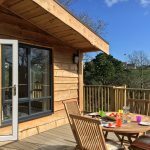 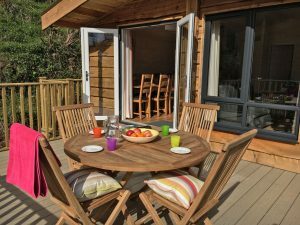 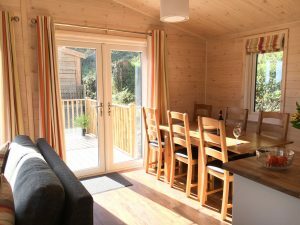 Oak Lodge also boasts two outdoor areas – a large patio at the back of the lodge, perfect for breakfast al fresco in the morning sun, and a front decking area with breath-taking views to the sea. 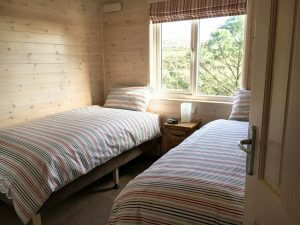 Book online or by phone 01752 862382 to take advantage of our introductory low first year prices. 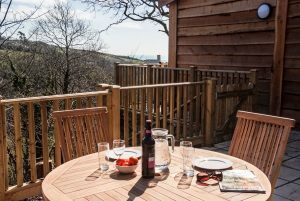 Al fresco dining with fabulous views!